VA Assumable w/NAVY FEDERAL CREDIT UNION! Amazing transformation is awaiting the discerning buyer! 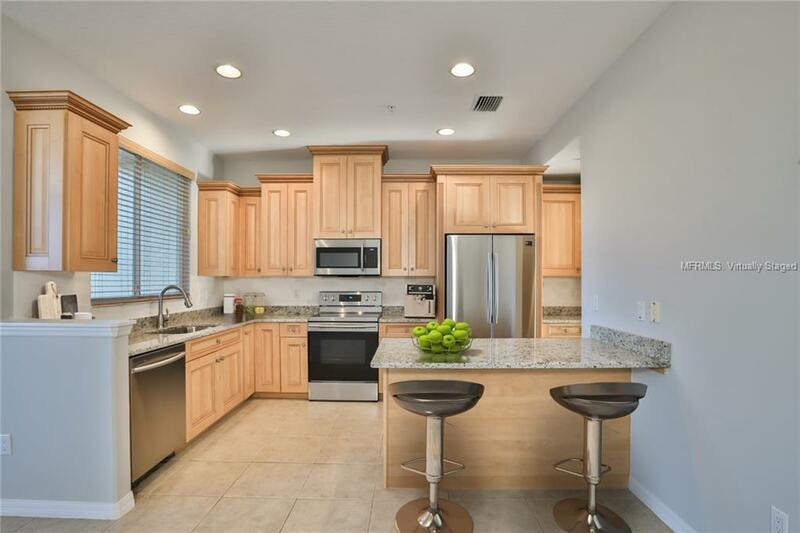 New double HVAC, all NEW Appliances, Granite countertops & stone backsplash, newly painted throughout. Also new commercial grade waterproof flooring including staircases and entire upstairs master suite and guest rooms. Truly craftsman workmanship! 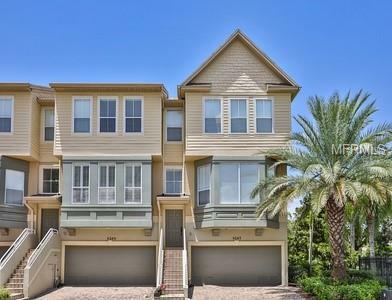 3 Bedroom, 3.5 Bath, 2 Car garage w new flooring, townhome features DEEDED BOAT SLIP. Pristine Community pool. 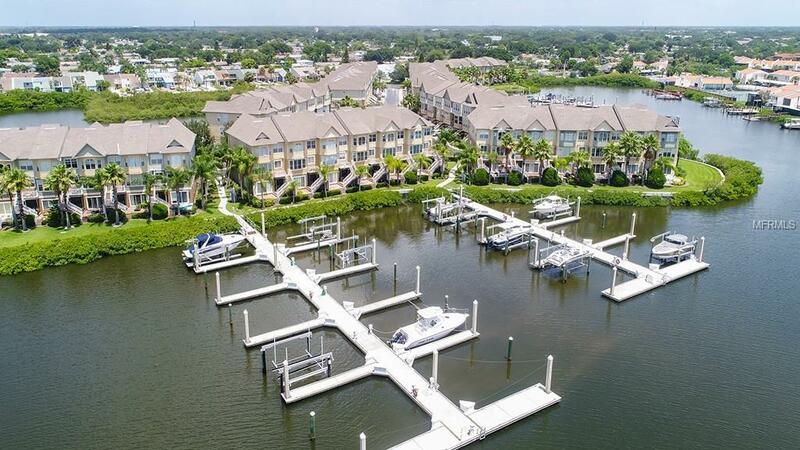 Explore Tampa Bay Waterways with direct access! Relax on your private "lushly landscaped by mother nature balcony, located off the breakfast nook, as you soak up serene surroundings. Entertaining space on first floor with new flooring and new fabulous granite & stainless wet bar, refrigerator and full bath, could be converted to bedroom! 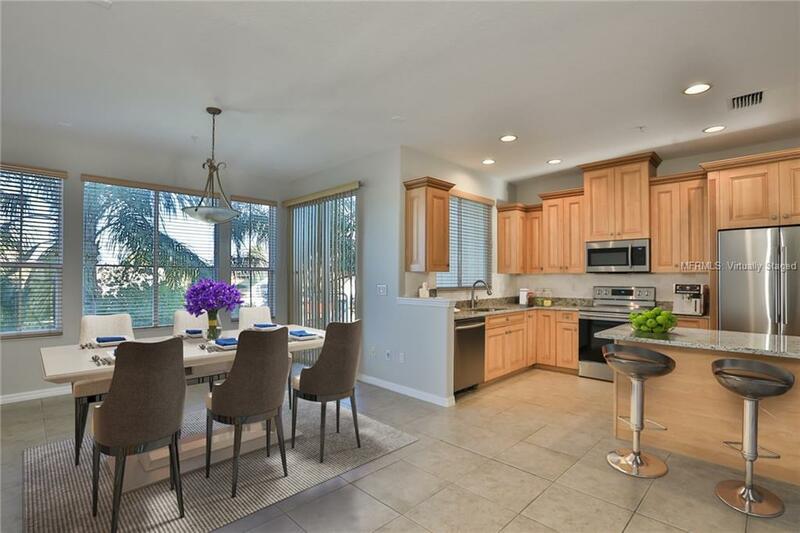 Kitchen features new appliances, staggered wood cabinetry adorned with crown molding, and island with seating. The kitchen overlooks an elegant dining space for larger gatherings. Large, open living room offers options!. High ceilings and PLANTATION SHUTTERS compliment the open floor plan. The master bedroom features beautiful bay window with spectacular nature views. Walk in closets and en suite bathroom with "his and hers sinks, jacuzzi tub and separate glass shower. Two additional bedrooms will accommodate the largest of furniture with ease and features plenty of storage. Hall guest bath convenient for both 2nd & 3rd bedrooms. Upstairs laundry and storage for convenience! Under outside staircase additional storage. Pet Restrictions Inquire With Agent Concerning Restrictions.